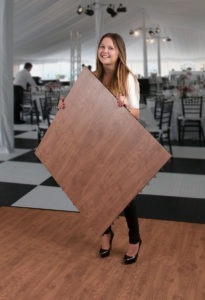 Utah-Based SnapLock Industries, a leading manufacturer and supplier of indoor & outdoor portable event floors, announced their latest product innovation today with SnapLock PLUS®. SnapLock Industries announced the release of their latest innovation with SnapLock PLUS, a High-Tech portable dance flooring system. This durable, lightweight, 3′ x 3′ all-weather panel system is created with SnapLock’s patented PowerLock® system and NoWalkTM Technology. 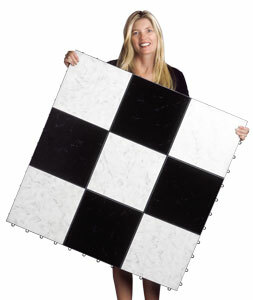 Interlock these lightweight panels to create a custom portable or permanent dance floor of virtually any size with no tools necessary. SnapLock’s single largest module creates a virtually seamless appearance and makes for an even faster indoor or outdoor assembly. “Along with our superior technology and a product that is 100% made in the U.S.A, the new SnapLock PLUS portable dance floor system is yet another example of what sets us apart from the competition,” says SnapLock CEO Jorgen Moller.